Sylvia M. Oscarson, 89, Breckenridge, MN, formerly of rural Wahpeton, ND passed away Tuesday, October 22, 2013 at St. Francis Nursing Home, Breckenridge, MN. The Funeral Service will be 1:00 PM, Saturday, at Vertin-Munson Funeral Home, Wahpeton, with Rev. Jim Gustafson officiating. Visitation will be one hour before the service. Interment will be at St. John's Lutheran Cemetery, Galchutt, ND. Sylvia was born March 8, 1924 at Dexter, Missouri, the daughter of John and Orpha Goodman. She grew up in Dexter, moving to California where she worked. She married Herman Oscarson in California and the couple moved to Wilkin County and later to the Galchutt-Abercrombie area where they farmed. They moved into Abercrombie, ND in 1959. They wintered in Mesa, AZ for over 25 years. Herman passed away in 2003 and Sylvia moved to St. Francis Nursing Home Breckenridge, MN in 2003. Sylvia loved participating in activities: especially fishing, bowling, shuffleboard and cards. She enjoyed gardening and canning. Sylvia is survived by her three children: Allen (Lavvon) Oscarson, Marinette, WI; Bob (Jeri) Oscarson, Wahpeton, ND; Barb (Richard) Yaggie, Wahpeton, ND; eight grandchildren, and 18 great-grandchildren. Hoping that great memories will prevail during this difficult time and sending our condolences, love, and prayers. To the Oscarson Family, My thoughts and prayers go out to you during this difficult time. I had the privilege to care for Sylvia during her stay at St. Francis. I had the privilege of taking care of Sylvia a few years ago at the nursing home. What a wonderul women. 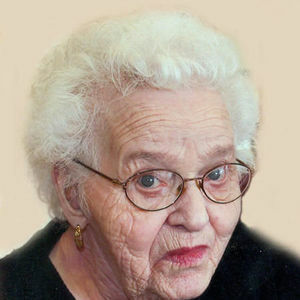 I will always remember her family bringing in her Lutefisk dinners.